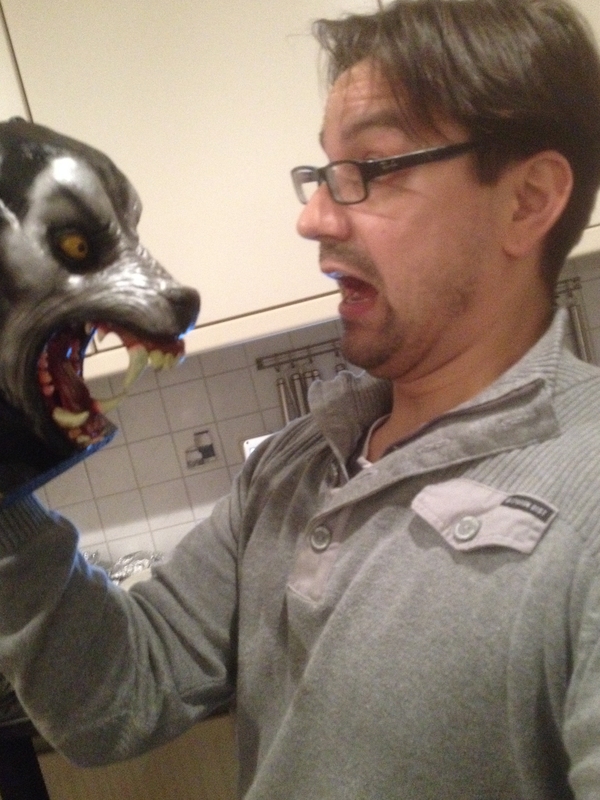 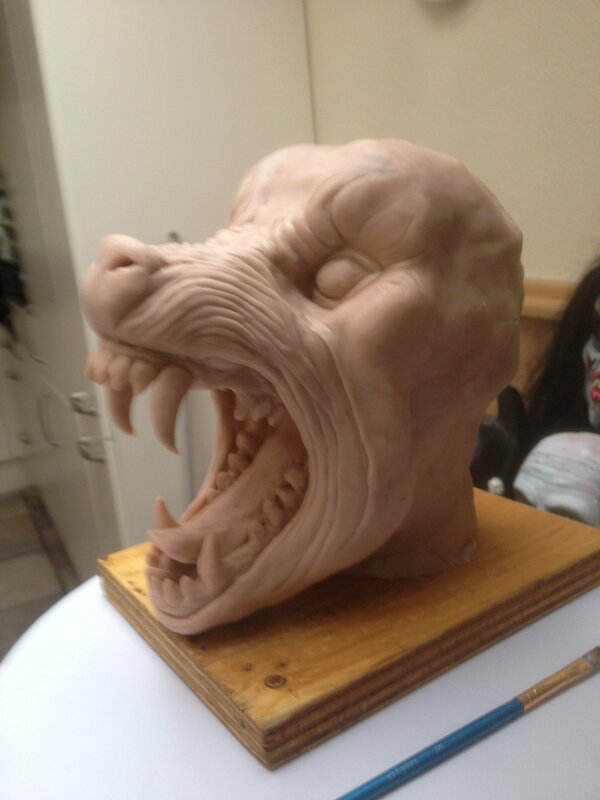 I used Rick Bakers American werewolf as a reference, i sculpted this piece 2 years ago. 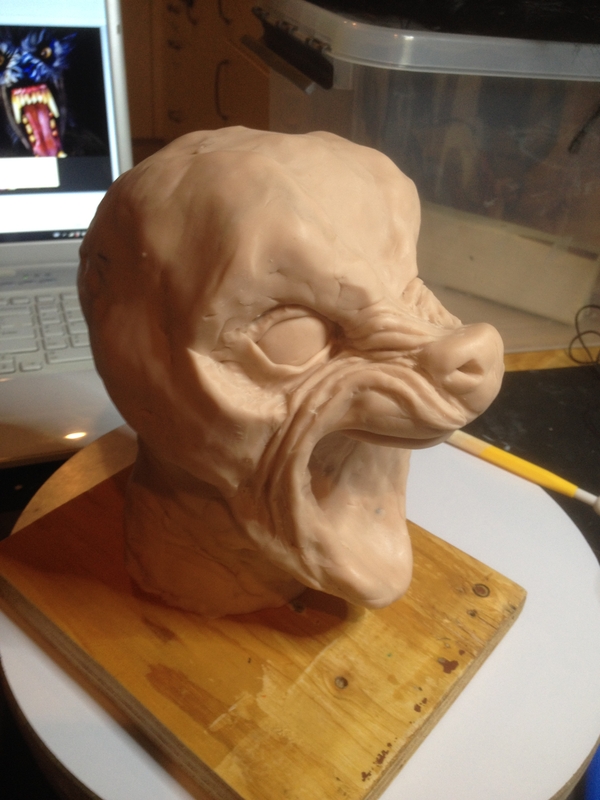 I could do much better now The armature is made out of tin foil wrapped around a big hook that is screwed tight in the wooden stand. 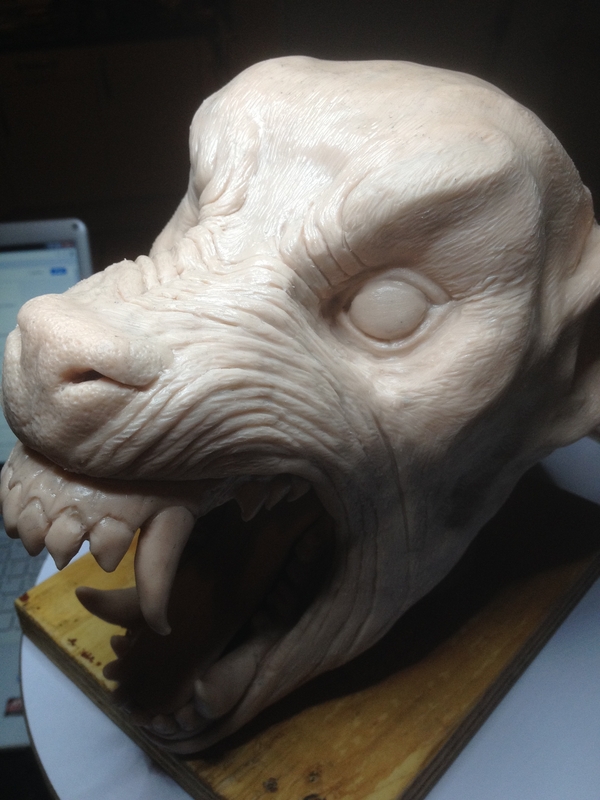 I sculpted , baked it and paint it in 2 evenings. 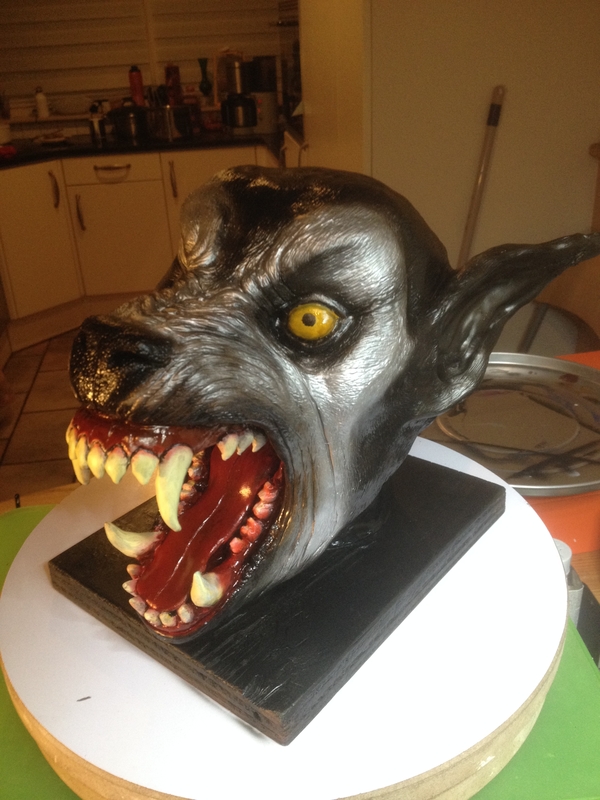 The first evening i sculpted the wolf's snout to short as you can see on the 4th foto, thats the great thing about sculpey, its easy clay to correct. 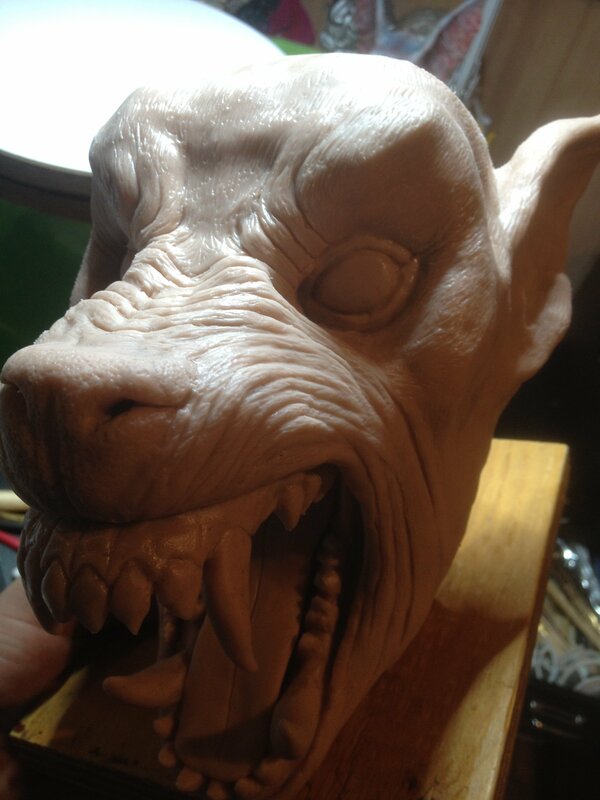 I easily chopped off his snout with a knife and made it a bit longer, With NSP or monsterclay that won't be that easy.